The first battle of Picardy, 22-26 September 1914, was part of the Race to the Sea, the series of encounter battles that decided the location of the Western Front during the First World War. The war began with a period of manoeuvre warfare, exactly as had been expected before the fighting began, but that changed during the first battle of the Aisne. This saw the Germans retreat from the Marne to the Aisne where they took up a defensive position. 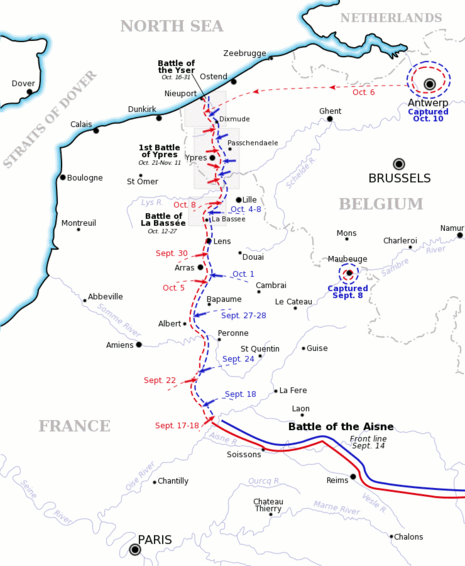 A series of Allied attacks failed to force them back, and the line on the Aisne remained static for most of the war. Both the French and German commanders-in-chief began to plan to turn their opponent’s northern flank. Joffre dissolved Castlenau’s Second Army at Nancy, and formed a new Second Army around Amiens, again commanded by Castlenau. 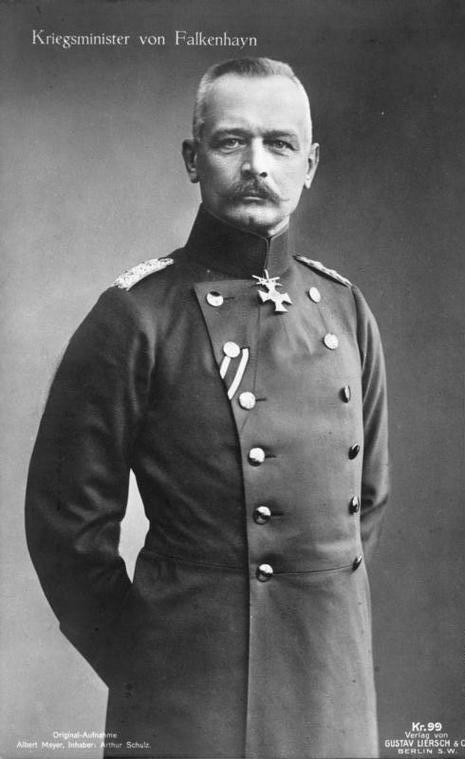 The new German chief of the General Staff, Falkenhayn, moved Crown Prince Rupprecht’s Sixth Army around from the Lorraine front. Operation Michael was a First World War German military operation that began the Spring Offensive on 21 March 1918. It was launched from the Hindenburg Line, in the vicinity of Saint-Quentin, France. Its goal was to break through the Allied lines and advance in a north-west direction and seize the Channel ports which supplied the British Expeditionary Force (BEF) and drive the BEF into the sea. Just two days into the operation, Ludendorff changed his plan, and pushed for an offensive due west along the whole of the British front north of the Somme. This was designed to separate the French and British Armies and crush the British forces by pushing them into the sea. The offensive ended at Villers-Bretonneux, a little to the east of the key Allied communications centre of Amiens, where the Entente managed to halt the German advance. The German advance stalled largely through very heavy casualties, an inability to maintain supplies to the advancing troops and the arrival of Entente reserves. Since much of the territory involved consisted of the shell-torn wilderness left by the 1916 Battle of the Somme it was known to some as the 1918 Battle of the Somme, and to the French as the Second Battle of Picardy (French: 2ème Bataille de Picardie).